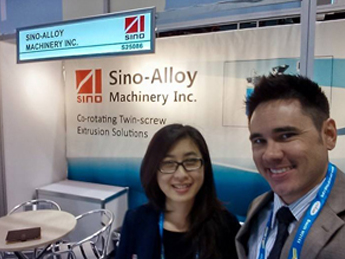 Sino­Alloy Machinery once again participated in the tri­annual plastics exhibition, which is now located in Orlando, FL. 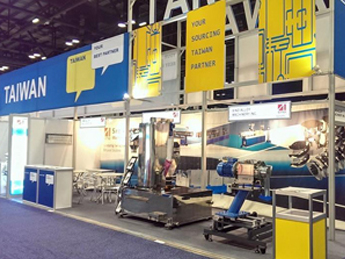 We joined Taiwan Association of Machinery Industry (TAMI) who had 3 Taiwan pavilions located in the South Hall of the Orange County Convention Center. 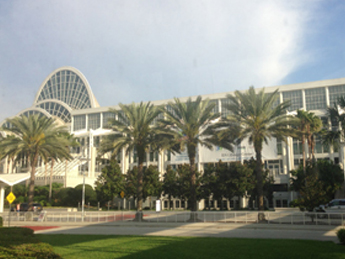 Our booth location was located in a nice corner spot next to a major aisleway, allowing for good foot traffic. 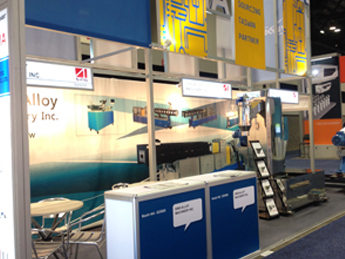 For this exhibit, on display was Sino­Alloy’s newest version of their PSQ35 underwater pelletizer and their 3rd generation PSL35 centrigual dryer. These are just a couple of the new developements happing at our factory, located in the Guanyin Industrial district, Taoyuan City, Taiwan.